St Andrew's Presbyterian Church, Skipton, is a tuck-pointed bluestone Gothic Revival church dressed with Waurn Ponds limestone, comprising nave, chancel, and bell tower with spire. It was built in 1871-72 to a design by architects Davidson and Henderson of Geelong. The style has been identified as Low and Mixed Gothic. 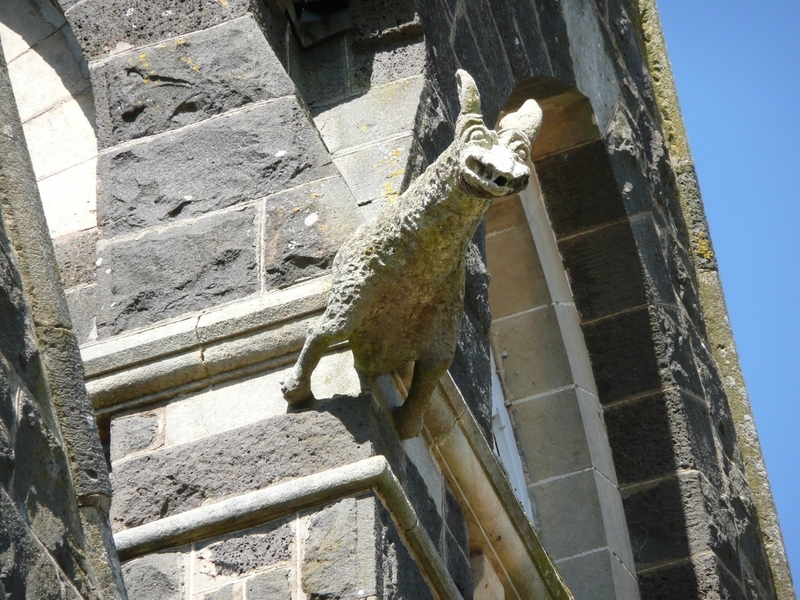 The building also features a slate roof, and a square bell tower ornamented with a (kangaroo?) gargoyle to each corner. Internal features include two rows of cast iron columns that define the central aisle, cast iron railings to the gallery, timber fretwork arches and timber joinery, pews and pulpit. Avestry was added in 1926. An honour board affixed to an interior wall dedicated to local soldiers killed in World War I was probably installed in the early 1920s. Contributory elements to the site include the perimeter bluestone fence, iron gates, and mature plantings, including Monterey Cypress (Cupressus macrocarpa). 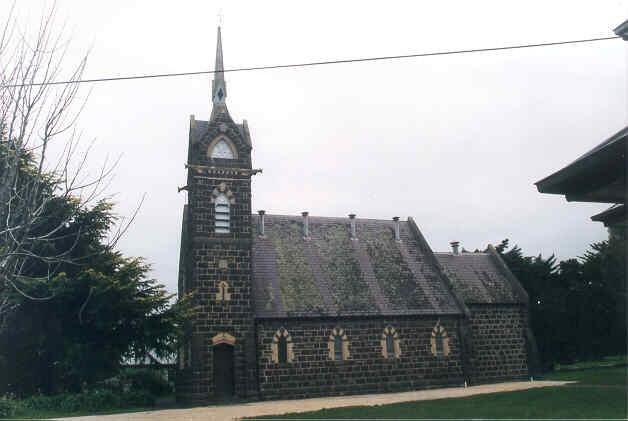 The large number of Northern Irish and Scotch Presbyterian settlers in western Victoria led to a number of Presbyterian churches electing to remain with the Presbyterian Church of Victoria in 1977 rather than join the newly established Uniting Church of Australia. The Uniting Church of Australia was formed in 1977 through the amalgamation of the Presbyterian, Methodist and Congregational churches. St Andrew's Presbyterian Church, Skipton, is of architectural and historical significance to the State of Victoria. 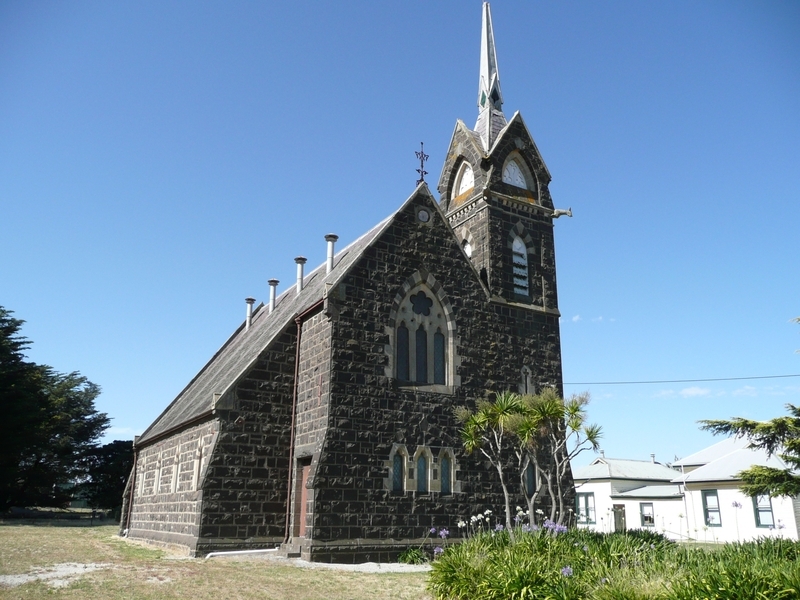 St Andrew's Presbyterian Church, Skipton, is architecturally significant as a fine example of the work of architectural firm Davidson and Henderson, who were leading practitioners in Victoria in the mid to late nineteenth century and have a strong association with the Western District of Victoria. The architectural significance of the building also lies in the influence of French architect Eugène Emmanuel Viollet-Le-Duc, who was one of a number of leading proponents of the Gothic Revival; this influence is evident in the style of the bell tower which features decorative stonework and (kangaroo?) 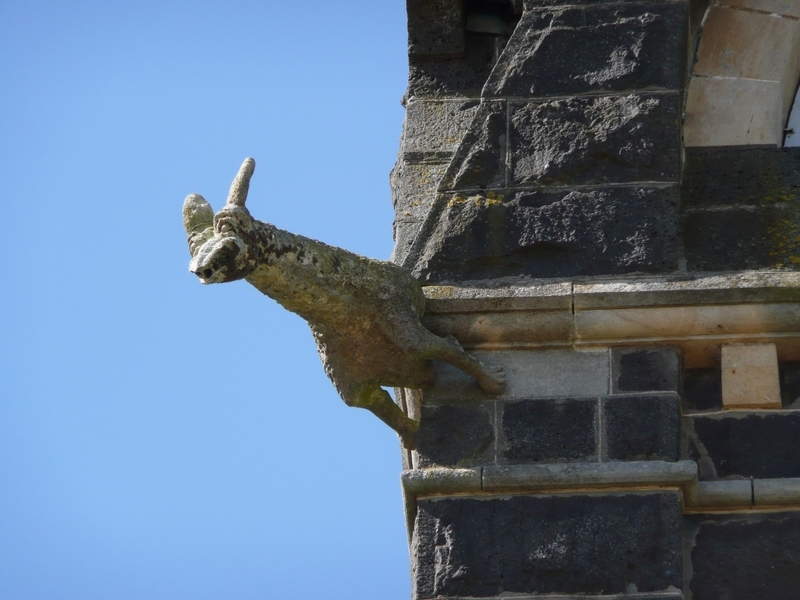 gargoyles, and in the expansive roof set over low side walls. St Andrew's Presbyterian Church, Skipton, is architecturally significant for the fine intact interior fittings designed by Davidson and Henderson, and the fine craftsmanship of the stonemason and carpenter. 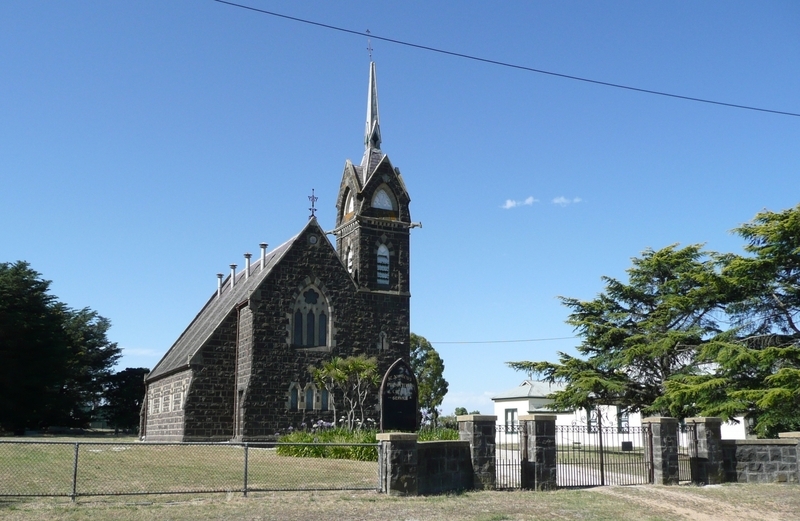 St Andrew's Presbyterian Church is of historical significance as an important example of a substantial surviving Presbyterian Church in western Victoria, an area where Presbyterians from Scotland and Northern Ireland formed a dominant group amongst early settlers. The church is also historically significant as representing a continuing association with the Presbyterian charge at Skipton, which dates from 1857. Historic Building No.484 St Andrew's Presbyterian Church, Skipton. The Columbia Encyclopedia (Sixth edition, 2001), from http://www.bartleby.com/65/vi/Violletl.html, accessed 18.2.2004. 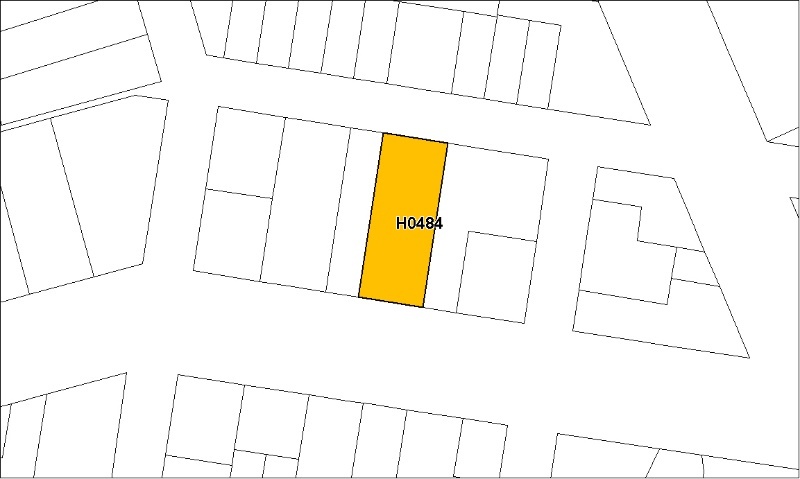 Corres., National Trust, etc from HV file. State Library of Victoria ‘Pictoria’ online images catalogue. Miles Lewis, Victorian Churches (1991), p. 145.